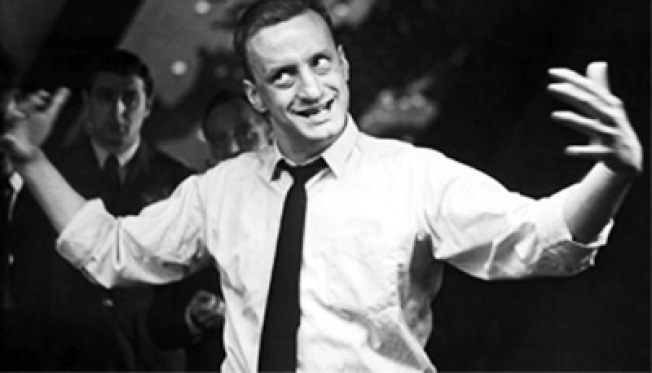 George C. Scott, on the (nuclear) warpath in Dr. Strangelove. 1964's h-bomb faux-valentine "Dr. Strangelove or: How I Learned to Stop Worrying and Love the Bomb" kicks off a weeklong run at Film Forum tonight, celebrating its 45th anniversary with a spanking new 35mm restoration. See it on the big screen for a bunch of reasons: Because it's a milestone of black comedy, because Peter Sellers and George C. Scott were rarely better in their respective careers, and because it's that rare piece of celluloid that somehow doesn't feel dated, nearly half a century on.